Metal injection molding (MIM) is a metalworking process by which finely-powdered metal is mixed with a measured amount of binder material to comprise a “feedstock” capable of being handled by plastic processing equipment through a process known as injection molding. The molding process allows dilated (oversized due to binder) complex parts to be shaped in a single step and in high volume. After molding, the powder-binder mixture is subjected to steps that remove the binder (debinding) and sintering to densify the powders. 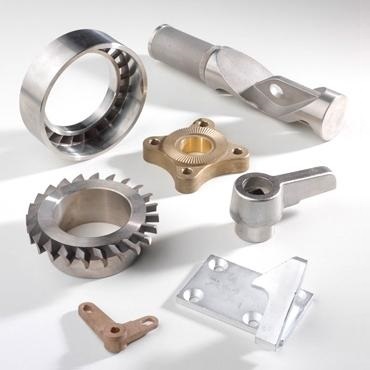 End products are small components used in various industries and applications. Metal Injection Molding (MIM) is typically cost-effective for small, intricate, high-volume products which would otherwise be quite expensive to produce by alternate or classic methods. The variety of metals capable of implementation within MIM feedstock is broad. Jiangsu Tech is a professional supplier of MIM parts in China. Utilizing metal injection molding technology, we offer robust solutions to many industries including automotive, consumer electronics, and healthcare.